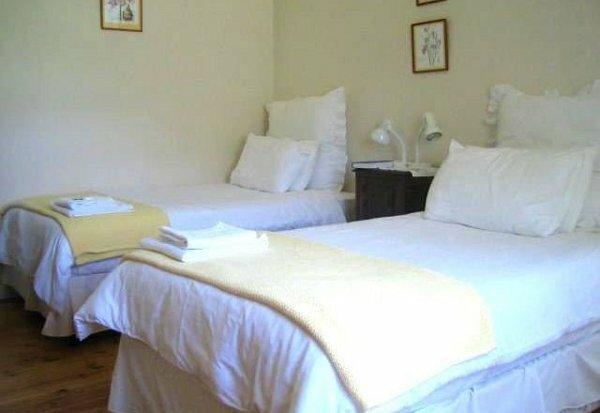 Situated in the historical heart of Graaff-Reinet, 4 Rothman Street guest house is within easy walking distance of museums, restaurants and shops. The large, indigenous garden has a swimming pool and it is an oasis for guests and birds. We offer three fully serviced units with en-suite bathrooms, kitchenettes and living areas. Each unit has a TV, an air-conditioner and a fan. We offer braai facilities and safe off-street parking. Evening meals and packed breakfasts or lunches can be arranged. Fax and Internet facilities are available, and laundry can be done on request. In our shop, you will be able to buy Judy’s delicious home-made rusks, biscuits, jams and cordials. Please take enough time to enjoy what the fourth oldest town of South Africa has to offer. Douw is a professional guide and he will gladly take you on a trip to the Valley of Desolation, hiking, game viewing or birdwatching in the Camdeboo National Park. His explanations of the amazing Karoo night sky should not be missed. Click here to enquire at 4 Rothman Street.